Born in 1821 into a family of confectioners and makers of preserves, Alex, as senior partner, expanded the firm into an internationally successful business. Imports came from Europe and the West Indies and exports spanned the globe. Western Cemetery, Dundee. Register No. 1983 Compartment 11 Lair No. 32,d,k,b,d. 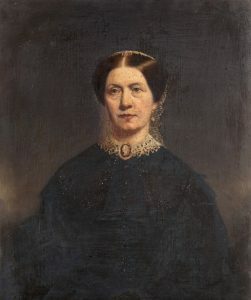 Alex who had been born on 24-11-1821 married Elizabeth Mitchell, the daughter of John Mitchell, a Dundee architect and his wife Elizabeth on 14-11-1848. They had two boys, James born in Dundee on 14-11-1849, and John Mitchell (who was to succeed him in the business) born in Dundee on 01-01-1851. 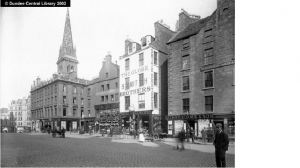 The family moved home on a number of occasions, 21 Castle Street, 3 Nelson Street, 15 Rose Street, 4 Rose Angle, 6 Hawkhill Place and finally 164 Nethergate. All homes were within easy walking distance of the city centre business premises which were at Castle Street, New Inn Entry, Gray’s Close, Reform Street, Campbell’s Close and Rankine’s Court. Despite Alex owning numerous houses in Dundee he rented 164 Nethergate where he lived for many of his latter years. In 1860 Alex and his two brothers set up a partnership to run their late father’s business, James Keiller & Son. Alex owned the major part of the company which, during the 60s was to grow bigger than either Cadbury’s or Rowntree’s. Apart from some locally produced fruits, all raw materials had to be imported to Dundee. Seville oranges came from Spain via London, orange peel from Sicily via London, lemons from Sicily via London , sugar from Netherlands either via London or direct to Dundee or from the West Indies via Glasgow, coal came from Newcastle, and clay jars also came from Newcastle. All deliveries were by sea. The Dundee and Perth & London Shipping Company ran a service from Glasgow via the Forth and Clyde canal. From further afield, ships were usually chartered. This reliance on shipping no doubt led to Alex’s interest in harbour facilities and his being elected to the Dundee Harbour Trust. His other interests included his church, Free Saint Paul’s in Nethergate, Dundee where he was a member of the Deacon’s Court. The firm James Keiller & Son did not own the business premises but rented them from the owner who was none other than Alexander himself, an arrangement which seems unusual in the 21st century but which was ordinary at that time. On 19th April 1877, his son John Mitchell Keiller was confirmed as his executor: Value of Estate, £203110 9s 1d. Alex did not donate any artefacts or pictures to the McManus. 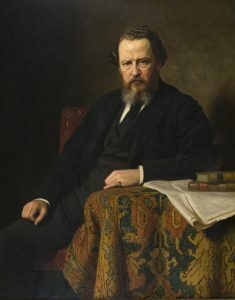 However, his grandson, in 1952, donated a portrait of his grandfather by Norman Macbeth, which had been completed posthumously in 1879. He also gave the gallery one of his grandmother, “Mrs Alex Keiller (Nee Elizabeth Mitchell)” by an unknown artist and “Hunting Party at Stobhall in Carse of Gowrie 1887” by Thomas A F Graham. Wesleyan Register of Baptisms Dundee Commencing 1787 GD/MC/126. Dundee City Archives 14 City Square, Dundee. Old Parish Register. Dundee 282/23. ScotlandsPeople website. Frame 5452 Source Batch No. C112892 Tay Valley Family History Society, 179-181 Princes Street, Dundee. FamilySearch website. CDs Frame 5505 Source batch C112829 . Tay Valley Family History Society, 179-181 Princes Street, Dundee, FamilySearch website. Dundee Directory 1844-45 p.45. Dundee Central Library, Local Studies Dept. Census Scotland. 1851. Dundee 282/39/8. ScotlandsPeople website. Census Scotland. 1861. Dundee 282/2/16/5. ScotlandsPeople website. Dundee Directory1858-59 p.145. Dundee Central Library, Local Studies Dept. Dundee Directory 1851-52 page unknown. Dundee Central Library, Local Studies Dept. Dundee Directory1876-77 p.168. Dundee Central Library, Local Studies Dept. Confirmation of executor in Court Books of Commissariot of Forfar, 3 April 1877. Historical Search Room, NRS, Princes Street, Edinburgh. Dundee Courier and Argus obituary Feb 9 1877. Original copy Dundee Central Library. Free St. Paul's Deacon's Court Minutes 21st February 1877. Original in Dundee City Archives. The Dundee Courier and Argus 8th November 1870. Original copy Dundee Central Library. The Dundee Courier and Argus 1st August 1871. Original copy Dundee Central Library. The Dundee Courier and Argus 22nd June 1870. Original copy Dundee Central Library. Dundee Directory 1850 p.116. Dundee Central Library, Local Studies Dept. Matthew, William, Keillers of Dundee: Rise of the Marmalade Dynasty 1800-1879, 1998, Abertay Historical Society Publications p.25. Dundee Directory1856-57 p.105. Dundee Central Library, Local Studies Dept. 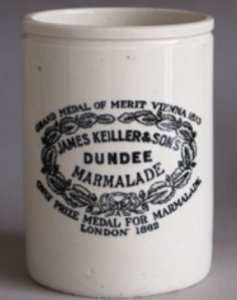 Matthew, William, Keillers of Dundee: Rise of the Marmalade Dynasty 1800-1879, 1998, Abertay Historical Society Publications. p.25. Dundee Directory 1846-47 p.123. Dundee Central Library, Local Studies Dept. 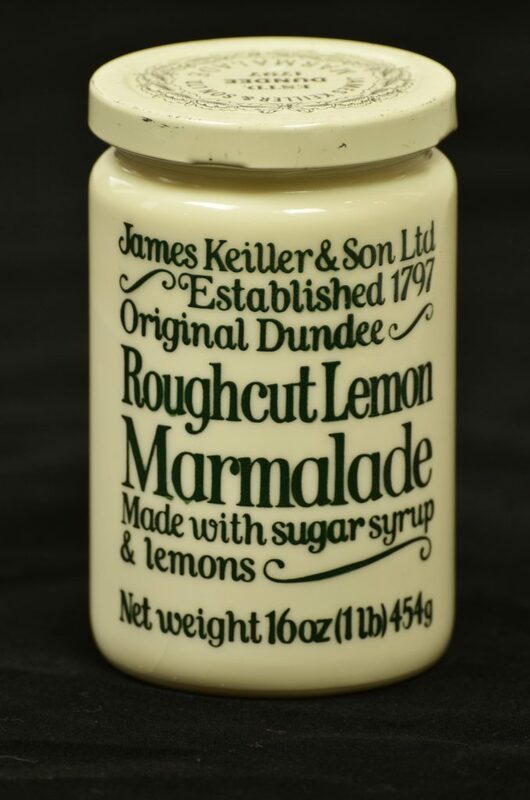 Matthew, William, Keillers of Dundee: Rise of the Marmalade Dynasty 1800-1879, 1998, Abertay Historical Society Publications p.vii. 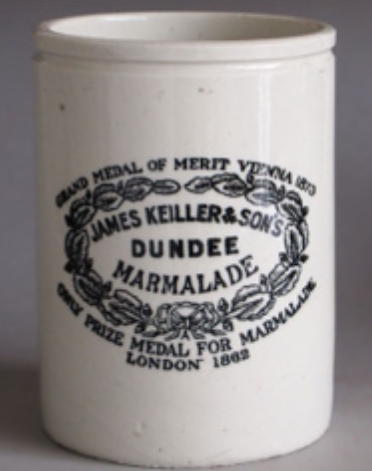 Matthew, William, Keillers of Dundee: Rise of the Marmalade Dynasty 1800-1879, 1998, Abertay Historical Society Publications p.7. 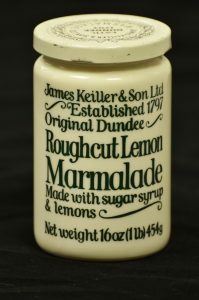 Matthew, William, Keillers of Dundee: Rise of the Marmalade Dynasty 1800-1879, 1998, Abertay Historical Society Publications p.74. Matthew, William, Keillers of Dundee: Rise of the Marmalade Dynasty 1800-1879, 1998, Abertay Historical Society Publications p.18. Jackson, Gordon The Trades and Shipping of Dundee 1780-1850, 1991, Abertay Historical Society Publications p.34. Matthew, William, Keillers of Dundee: Rise of the Marmalade Dynasty 1800-1879, 1998, Abertay Historical Society Publications p.32. Dundee Courier and Argus, February 9th 1877 p6, Dundee Central Library. Thanks are due to: The Volunteers at Tay Valley Family History, 189/181 Princes Street, Dundee. To the staff at Dundee Central Library, Wellgate, Dundee. To the staff at Dundee City Archives, 14 City Square, Dundee. To the staff in the Historical Search Room in Register House, Edinburgh. The information above about Alexander Riddoch Keiller has been collated from a range of digital and hard copy sources. To the best of our knowledge it is correct but if you are relying on any information from our website for the purpose of your own research we would advise you to follow up the sources to your own satisfaction. If you are aware of an inaccuracy in our text please do not hesitate to notify us through our Contact page.